Remove air cleaner if necessary. Remove valve push rod cover. Loosen lock nut on ball stud of the lifters to be removed and back the ball stud out of the rocker arm until the rocker arm may be moved to the right or left to allow removal of push rod. 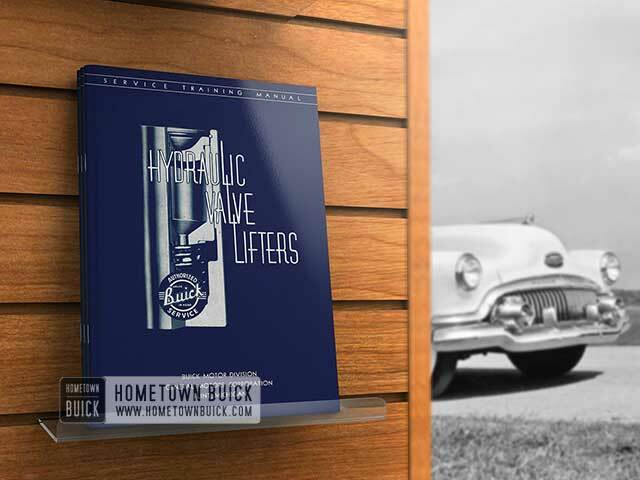 If it is necessary to remove a full set of lifters, remove the rocker arm shaft assembly. 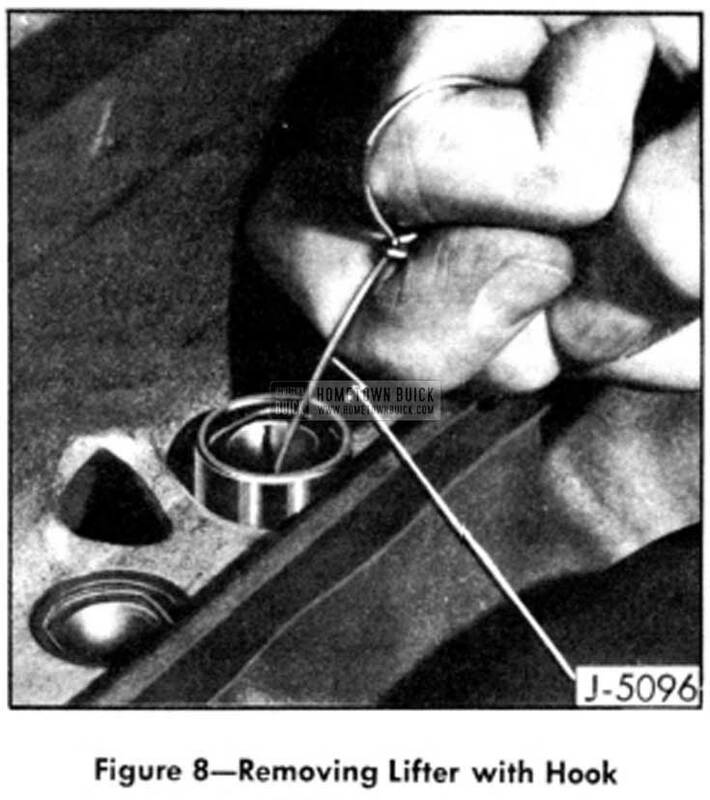 A valve lifter hook J -5096, Figure 7, is provided in the valve lifter kit to remove lifters which are not varnished or stuck in the guide hole in the crankcase. This hook is designed to enter the hole in the push rod seat and lock so that the lifter may be raised out of the guide hole. See Figure 8. Insert nail provided with the tool through hole in push rod seat. The nail will hold ball off its seat so that the plunger can be easily depressed. See Figure 9. Lightly place Remover on valve lifter and turn the knurled knob until the flange on the shaft drops down inside plunger retainer. See Figure 9, view A. Turn knob to align screwdriver slot with handle of remover, so that flats on remover body match straight section of plunger retainer. Push remover down, using a long screwdriver through the push rod hole, and turn knurled knob 1/4 turn in either direction. This will engage flange on shaft under straight section of plunger retainer. See Figure 9, view B. Work remover up and down to wear off varnish ring on bottom of lifter body. 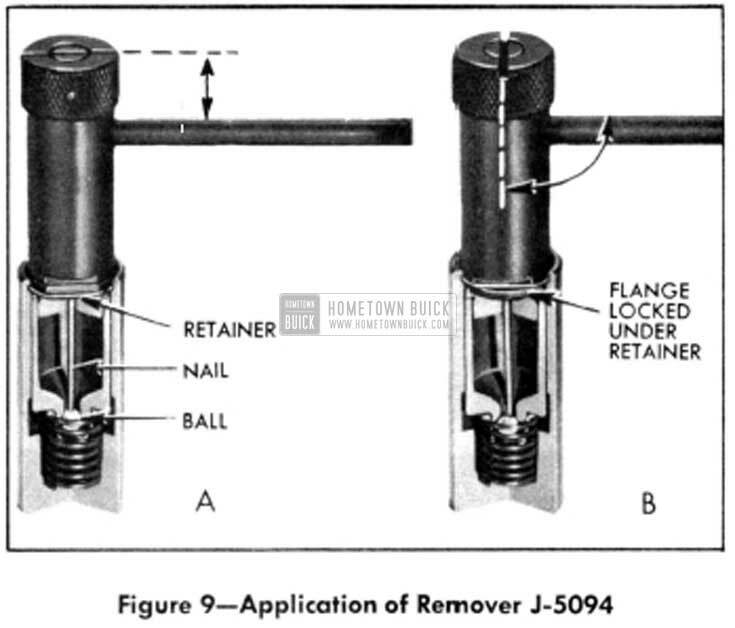 This remover will only take as much pressure as is required to pull the plunger retainer out of the lifter. If the varnish ring s so heavy that the lifter cannot be removed put varnish solvent on top of the lifter and let it soak. This will soften the varnish ring so that the lifter may be removed. Mushroomed lifters must always be removed from below as the guide hole may be distorted if the lifter is driven through it. Immediately after the lifters are removed, disassemble one or two of them to determine whether dirt or varnish was the cause of the trouble. See Section 6d. If either of these conditions is en­ countered, remove the rest of the lifters for a thorough cleaning and inspection. See Sections 6 and 7.